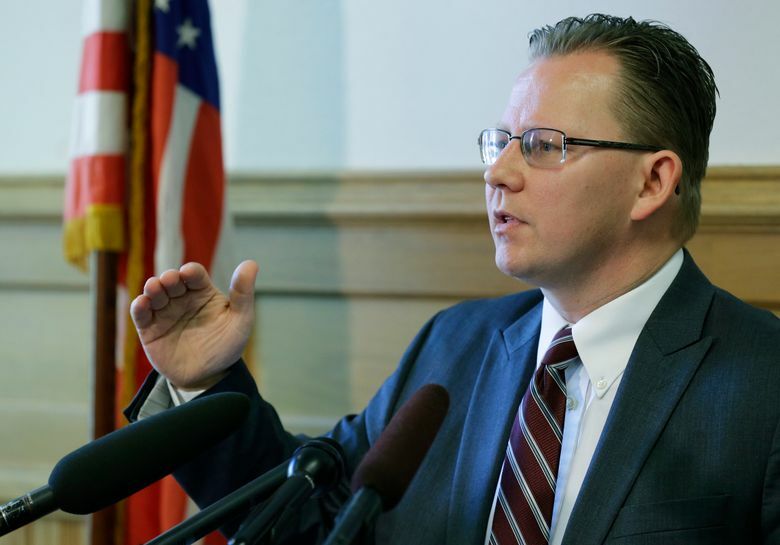 Chris Reykdal seems more comfortable working behind the scenes, quietly advising school districts and the Legislature, but not being the powerful education leader Washington needs. This is particularly jarring given that the next few months will be a pivotal time for Washington’s public-education system as school districts begin to jockey for additional funds. Reykdal should be authoritatively — and loudly — guiding this vital conversation on school levies — the very heart of the McCleary ruling. But he’s not. Instead, Reykdal seems more comfortable working behind the scenes, quietly advising school districts and the Legislature, but not being the powerful education leader Washington needs. Reykdal says he made sure Washington’s school districts knew they would be limited in what local levy dollars they can collect, starting in 2019. But he says he doesn’t have the legal authority to stop Seattle from asking voters to pass an oversized levy. School districts can legally ask voters to approve any size of levy they want, he says, but usually as a hedge against inflation. Reykdal acknowledges Seattle’s plan to ask for nearly twice the allowable operations levy is unusual. Seattle voters will be asked in February to approve a local school tax of $1.05 per $1,000 in assessed value, nearly double the amount the district can legally collect. The Seattle levy would pay for more school nurses, special education, programs to close opportunity gaps and other school projects. But it was the state Supreme Court that ruled the quality of a student’s education should not depend on the ability of their school district to raise local taxes. School districts that can raise more money can provide a better educational program that leads to better outcomes for students. Poor districts struggle and so do their students. Reykdal needs to be a force for educational equity for all of Washington’s 1.1 million public-school children, and so far, on this issue, he’s missing in action. His job is to ensure the districts are only raising money for enhancements, and he should advocate that they stay within the new levy limits. Otherwise, it would appear, he is part of the campaign to kill the McCleary deal before Washington gives it a chance to work. The new state tax formulas did come up short on fully funding some parts of basic education, especially special education. But the answer to that problem is not higher local levies. The answer can be found in Olympia, where key lawmakers already have pledged to fix special-ed funding. Reykdal may like to work behind the scenes on new policy initiatives, but right now he needs to step away from his desk and demand equitable state funding for all children.